It sounds like any other incentive for a new company – sign up and get a gift certificate. 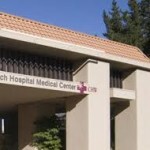 But San Luis Obispo based French Hospital’s promotion for its new Women’s Health and Imaging Center could violate federal anti-kickback laws. French Hospital is offering the gift certificates, valued at $40 each, to the first 200 people who make an appointment for a bone density scan or a mammogram. But federal anti-kickback statutes prohibit any person or entity from knowingly offering to pay cash or gift certificates in order to entice someone to purchase its products or services in which at least a portion of payment is covered by a federal health care program (42 USC § 1320a–7b). A related law, the beneficiary inducement statute, prohibits offers of compensation to federal health care recipients that are likely to influence their choice of a health care services or product providers (42 USC § 1320a–7a(a)(5). Last month, Walgreens agreed to pay a $7.3 million settlement after several whistleblowers told federal authorities Walgreens had offered a $25 gift card to anyone who transferred a prescription to its pharmacies. Even though Walgreens advertisements promoting the gift cards acknowledged that the offer was not valid for recipients of federal health care programs, its employees frequently ignored the stated exemptions, according to a Department of Justice press release. French Hospital is offering its gift certificates regardless of whether they are a recipients of a federal health care program, because the gift cards are not meant to entice people to make an appointment, French Hospital spokesperson Megan Maloney said. In addition to advertising its “May promotion” in the SLO City News, French also posted information about its offer on its website. French Hospital E.R. Dept. has a sign that says (paraphrasing here): In compliance with recent health care laws, this facility does not ask for insurance informaton until after you have seen a doctor”. Two years ago, I was directed to French ER, the above mentioned law was in existance at that time! The very first thing they did was direct me into a room to take care of the insurance information and co-pay (first!)!!! The care and attention I got was unimagingly the best there could be! As I understand it, they are no longer a non-profit organization, nevertheless, before this or after, first thing first, the insurance and co-pay or signature of responsibility!